The Illinois 4-H Foundation annually recognizes 4-H volunteers for exemplary service, and this year, three volunteers from the western suburbs were inducted into the Illinois 4-H Hall of Fame. Steven Ford of Elmhurst has been an active volunteer for DuPage County 4-H and University of Illinois Extension for nearly a decade. Also a 4-H parent, Ford has served in multiple volunteer roles, including as a contact leader for the Trinity Trailblazers 4-H Club, as a member of the DuPage County Expansion and Review Committee, and as a member of the local tri-county Extension Council. Mark Einwich of St. Charles is a long-time supporter of 4-H, serving in various roles over the years. Einwich currently serves as a member of the Kane County 4-H Foundation, on the Blue Ribbon Sale Committee, and as a county fair 4-H superintendent. He also chairs the ticket sales for the annual Kane County 4-H Foundation Pork Chop Dinner and Fundraiser, which has garnered more than $200,000 in 10 years. Sandra Davis of Newark serves as the County Director for University of Illinois Extension of DuPage, Kane and Kendall Counties, but she also is a 4-H alum and past 4-H volunteer. Following in her father’s footsteps, Davis was involved in 4-H when she was young, and later, her children participated as well. She led the Coy Park Critters 4-H Club and, due to her example, one member grew up to lead her own 4-H club. 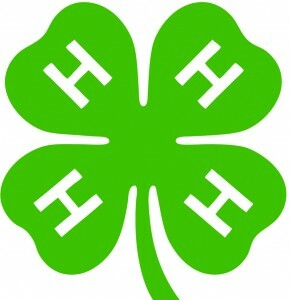 Ford, Einwich and Davis were among 67 new members named to the Illinois 4-H Hall of Fame, and the group was celebrated at a special event at the Illinois State Fair in August. The Illinois 4-H Foundation established the statewide Hall of Fame in 2004 to honor and celebrate extraordinary 4-H alumni, volunteers, and former 4-H staff. Each inductee received a commemorative Hall of Fame medallion. Others honored include Josh St. Peters, Bond County; Robin Kindberg, Boone County; Karl and Beth Schultz, Bureau County; Terry Bocker, Carroll County; Evelyn Anderson, Cass County; Kathy Mullins, Champaign County; Bill and Wendy Harmon, Christian County; Bob and Angela Zellers, Clark County; Brad Rudolphi, Clay County; Sheila Lueking, Clinton County; Mary Carben, Cook County; Shanna Alexander, Crawford County; Vivian Hallett, Cumberland County; John Boesche, DeKalb County; Dave Ferguson, Dewitt County; Angela Hamilton, Edgar County; Norma Hamilton, Edwards County; Cleo McManaway, Effingham County; Roger Wycoff, Ford County; Cathy Eathington, Fulton County; Karen Zelko, Grundy County; Mary Ruth Bryson, Hamilton County; Robert Fecht, Hancock County; Russell Campbell, Henderson County; Barb Schumacher, Iroquois County; Rick and Beth Nethery, Jasper County; Mary Ann Dagg, Jefferson County; Jack Stork, Jersey County; Marvin Schnitzler, Jo Daviess County; Margaret Cote, Kankakee County; Mike Hennenfent, Knox County; Terri Sancken, LaSalle County; Carol Vaessen, Lee County; Marge Dunham, Livingston County; John and Annie Coers, Logan County; Joann Wolff, Macoupin County; Jim and Elaine Thurnau, Madison County; Albert (Larry) Hill, Mason County; Bud and Deb Hobbs, McDonough County; and Denise Woolridge, McHenry County; Brian Bastin, McLean County; Bill Boruff, Mercer County; Ron Mueller, Monroe County, Denise Kistner, Montgomery County; Nancy Etnyre, Ogle County; Daniel Keyt, Peoria County; Thomas Batts, Piatt County; Rhonda Downey, Putnam County; Charlene Stewart, Randolph County; Terry Fleming, Richland County; Pamela Berenger, Rock Island County; and Demara Albert, Sangamon County; David Tiedemann, St. Claire County; Tamara Rouse, Stark County; Patricia Yeagle, Stephenson County; Kelly Stuber, Tazewell County; David and Annie Winans, Vermilion County; Vicki Still, Warren County; Charlie Meier, Washington County; Janet Schumm, Wayne County; Jennifer Carter-James, White County; Lisa James, Whiteside County; Lisa and Kevin Vancina, Will County; and Brian Lyons, Winnebago County. The Illinois 4-H Foundation raises private funds that are invested in Illinois 4-H programs that provide meaningful, positive development experiences for Illinois youth to develop leadership, citizenship, and life skills. To learn more, visit: www.4hfoundation.illinois.edu.